BILL DEVER is the B Movie Mogul of the 21st Century. His various enterprises include this very web site, the annual B Movie Celebration, Monogram Releasing and various other ventures promoting, perpetuating and preserving B Movie Culture. He is a Man with a Mission. Will the Thrill: What is the inspiration, and the ultimate goal, for the B Movie Celebration, which returns for the third time this September in Franklin and Shelbyville, Indiana? 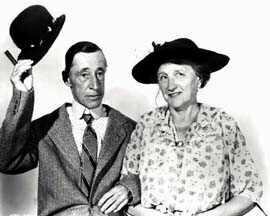 BD: The inspiration are the films and filmmakers whose films I loved growing up, from Charles Lamont and his Ma and Pa Kettle films, to Jacques Tourneur to Tom Holland and Fright Night. I think the goal is a simple one, to make film fans and filmmakers aware that there exists a tradition of filmmaking which is often ignored by the main stream film industry. As Hollywood exists today in their mind anyways there really are only two types of films: The Big Budget Blockbuster and The Independent Film (which in their mind is the same as “art films.”) What we are trying to do is celebrate the tradition of B Film and its current practitioners like Lloyd Kaufman, Jim Wynorski, Fred Olen Ray, David DeCoteau, bring everyone together for a weekend and discuss the past and future of B filmmaking. 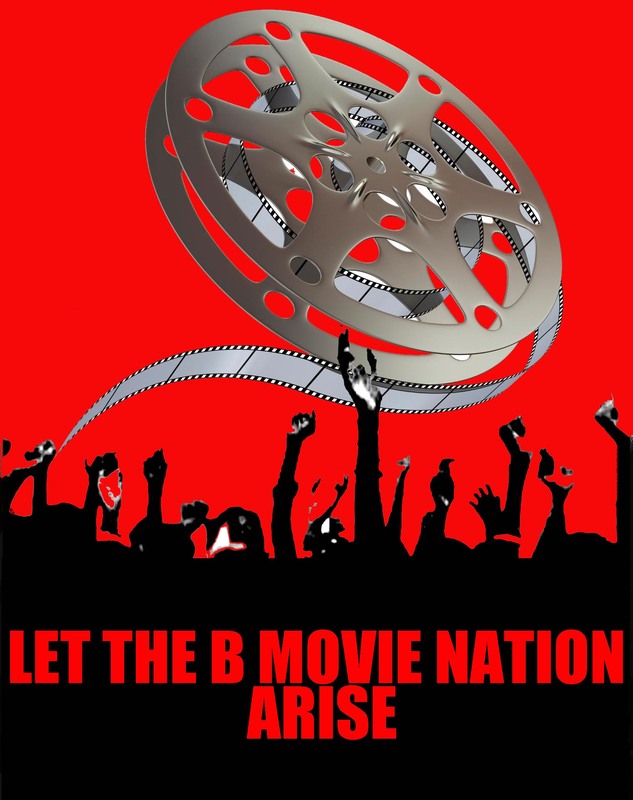 Thrill: What is your vision of a “B Movie Nation“? BD: If I have a vision, its that we can make people aware that their is a cultural sub-current in our society of people who genuinely admire the vision, freedom and expression that is resident in B films. We are trying to transcend the cynical brush of MST3000 and see these films as a valuable reflection of the society in which we live. Thrill: Your Monogram Releasing company is a startling startup specializing in the best of brand new B Movies. What is the Monogram Manifesto? BD: I think it has a commercial manifesto, which is to create a distribution venue for newly produced B films and get them where they so rightly belong, on the theatre screen. Thrill: In addition to promoting both new and classic cult movies, you make your own. Can you give us some background on that aspect of your career? BD: I love movies, I enjoy the process of making films, I don’t think I have a lot of the skill sets which directors like Jim Wynorski possesses, but I enjoy the process very much. I would not call my forays in the making of films career more like a diversion. 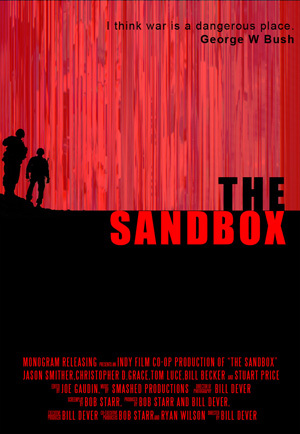 Thrill: Tell us a bit about your latest film venture, The Sandbox. BD: Bob Starr came to me and said have this script which takes place during the Iraq conflict. As he described the project, it became apparent that Bob was exceedingly passionate about his vision. He asked if I could help, I told him that I did not have deep pockets and that usually war films entailed big budgets (or more than I was used to working with). Then he slipped out that The Sandbox was to be shot from the perspective of a webcam, I was intrigued and appalled at the same time. I saw audiences rioting in the aisles. But Bob convinced me with his passion and storytelling integrity. We shot for four days in a basement in Southern Indiana, the same basement in which they shot Three Kings and the rest as they say is cinematic history. THE SANDOX opens Friday, May 22 in select theaters courtesy of – you got it – Monogram Releasing! Tagged B Movie Celebration, B Movie Nation, Bill Dever, Classics, The Sandbox. Bookmark the permalink.